I’d heard of the Kiltwalk but never thought I could walk the distance. However, last year someone suggested I could. With only 4 weeks left to go, I signed up! One of the best decisions I’ve made in a long time. I dragged everyone and anyone out for a walk – before work, after work, evenings and weekends – in an attempt to build up a bit of stamina. As the day grew nearer I was feeling slightly nervous – but there was no need. I never expected it to be so busy (it was mobbed!). Everyone was so friendly and encouraging each other along. I walked myself but chatted to people along the way. In my head, I had a target time, which I managed. 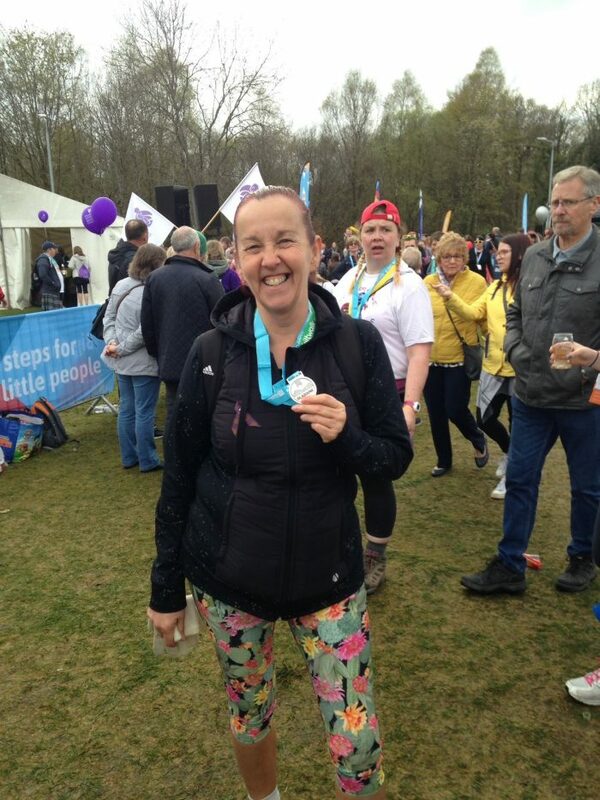 For me, it was a no-brainer to sign-up again for the year’s Kiltwalk – I’ve committed myself to raise money for Scottish Families again as they had been so encouraging last year. They welcomed me at the start line in Glasgow Green and were there to greet me at the finish line in Balloch Park. It is one Sunday out of 52, why not give it a bash? There are three different lengths of walk – if you don’t feel you can commit to the mighty stride, what have you got to lose! Walk with us to beat stigma towards addiction and raise awareness of families and friends affected by someone else’s alcohol or drug use. We offer FREE places and will be there to cheer you on 📣 Get a group of friends together and sign-up today.